Wiley is the international scientific, technical, medical, and scholarly publishing business of John Wiley & Sons, with strengths in every major academic and professional field and partnerships with many of the world`s leading societies. 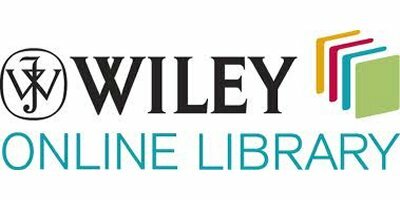 Wiley Online Library hosts the world`s broadest and deepest multidisciplinary collection of online resources covering life, health and physical sciences, social science, and the humanities. It delivers seamless integrated access to over 6 million articles from over 1500 journals, over 16,000 online books, and hundreds of reference works, laboratory protocols and databases. Featuring a clean and simple interface, this online service delivers intuitive navigation, enhanced discoverability, expanded functionalities and a range of personalization and alerting options. Easy-to-Use Design:Developed in consultation with users to deliver intuitive navigation and easy access to articles, chapters, references, and supplementary information. More Ways to Stay Up-to-Date: Content alerts and RSS feeds to keep you updated with the latest published research, including journal tables of contents, EarlyView and Accepted Articles, and search results.